A year and a half ago, Kenneth Lonergan’s masterful Margaret was rescued from obscurity after British critics turned their backs on their mostly apathetic US colleagues and took the film under their wing, denouncing Fox Searchlight’s decision to bury it in a single poxy screen off Leicester Square. The result was something of a power trip for Britain’s critical fraternity, who — while no longer capable of moving the mountains they once could — were at least able to prompt the expansion of a three-hour Anna Paquin movie into a dozen London arthouse venues. I’m now calling on those same souls to take up the cudgels for an entirely different beast — Michael Bay’s imposing, satirical, spectacular new movie Pain & Gain. Despite a couple of glowing endorsements in New York Magazine and Time, the film was mostly dismissed by American critics when it opened at the top of the US box office back in April, with negative reviews outweighing positive ones 78 to 61 on the film’s Rotten Tomatoes page. And that’s why today — six weeks ahead of the film’s scheduled UK release date on August 30th — I’m signalling a call to arms to UK critics to deliver the film from the shame of that abstract green splodge. It simply cannot be allowed to stand that the best film of Michael Bay’s career (and one of the best films of the year full stop) ranks only 4% higher than The Island. And 13% lower than Transformers. 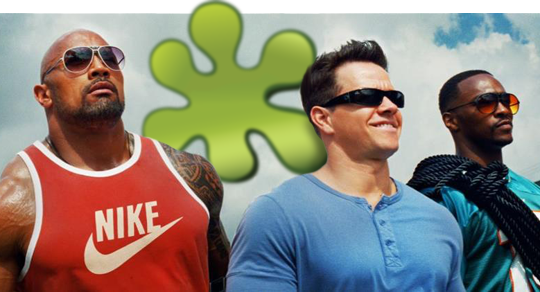 Right now, only 14 positive reviews are needed to tip the balance in Pain and Gain‘s favour, but assuming that some international critics chime with Peter Travers’ spoilt brat of a review and come down against the film, I reckon we should aim for 20. If you are an RT-authorised critic and intend to give the movie a positive review, contact me on Twitter or via e-mail and I’ll add your name to the ranks of the good and fair-minded (so far, just me).